Apples are a great treat for dogs. They contain Vitamin A, Vitamin C, and Fiber. Apples can even freshen your dog's breath but be sure to remove the seeds, which contain cyanide, and the core, which may be a choking hazard to your dog. Bananas are packed full of nutrients that are important for both humans and dogs so they make a great snack for your pup. Bananas contain Potassium as most people may know but they are also rich in Magnesium, Vitamin C, Vitamin B6, Copper, Biotin, and Fiber. Bananas are also know to help ease minor diarrhea and increase growth of the healthy gut bacteria. You can even use bananas to make a tasty "Ice Cream". Just freeze some bananas without the peel and when you're ready, throw them in the blender along with other fruit on this list or dog safe ingredients, like peanut butter, and you have yourself a banana "Ice Cream" that you can enjoy along with your pup. Blackberries provide a good source of Antioxidants, Omega-3, and Fiber. Antioxidants are important in any diet because they offer many benefits such as: slowing the process of aging and protecting against cancer. All dogs can benefit from having berries in their diet since they all are great carriers of antioxidants. Blueberries are full of Vitamin C, Fiber, and just like Blackberries, they are packed with antioxidants that help fight off free radicals which cause cellular and molecular in dogs and humans alike. Some more benefits of antioxidants in dogs are the ability to help with skin allergies, asthma, and arthritis in dogs, so this is especially good for aging dogs. 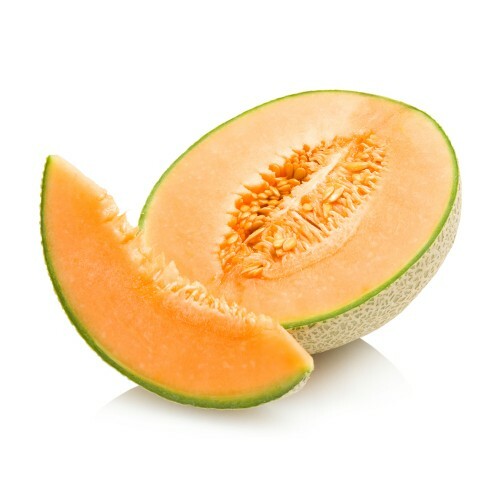 Cantaloupe is great for your dog in moderation. It contains high levels of Vitamin C, Vitamin A, Beta-Carotene, and Fiber. The high fiber content helps with your dogs digestive system and can prevent constipation while the Beta-Carotene promotes healthy eyes and good eyesight. Just make sure to remove the rind and seeds before serving to your dog as this may cause an upset stomach and may serve to be a choking hazard. Mangoes are considered a very healthy and nutritious fruit and are packed with over 20 different Vitamins and Minerals. Among the top contenders is Vitamin C, Vitamin A, Potassium, Vitamin B6, Fiber, and Antioxidants. This tasty fruit is a great way to boost your dogs immune system and is especially good for an older dog who may lack Vitamin C as this fruit contains double the daily recommended value. Make sure to remove the skin and the pit since it poses a choking hazard and contains small amounts of cyanide. 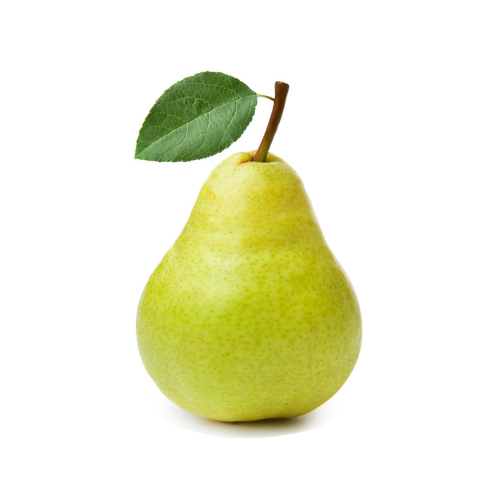 Pears are a delicious treat for dogs in moderation. They contain Vitamin C, Vitamin A, Fiber, Copper, Vitamin K, and Vitamin B6. Vitamin K is especially important for bone health so it is a good treat for dogs that are very active or are older and prone to weakened bones. Potassium is good for the heart and promotes healthy cardiovascular function. Low Potassium levels may cause Arrhythmia, which is an irregular heart beat. Make sure to remove the rind and seeds which contain small amounts of cyanide which is poisonous for dogs. Raspberries are another berry that dogs can eat and that provides them with plenty of nutrients such as Vitamin C, Manganese, Fiber, Antioxidants, Potassium, and Folic Acid. One thing to remember is to not feed your dog too many Raspberries since these fruit are high in the naturally occurring sweetener Xylitol which is harmful to dogs if too much is consummed. Keep Raspberries as an occasional treat and give in moderation. Strawberries are one of the most popular fruit for humans and there's no wonder why. They are delicious and contain many beneficial properties for a healthy diet. 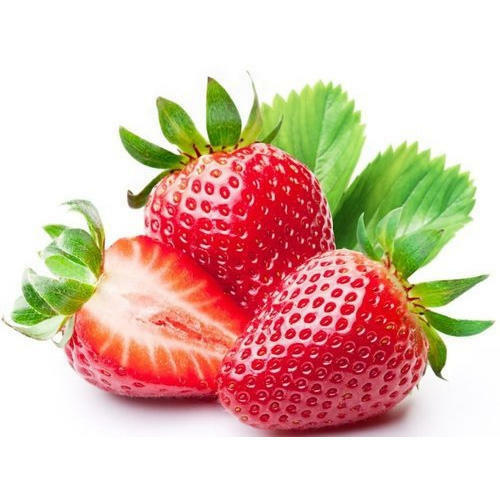 Strawberries are packed with Vitamin C, Vitamin B6, Fiber, Antioxidants, and Vitamin K. Just like their cousins the blueberries, Strawberries help boost the immune system and have all the antioxidant benefits as the other berries such as reducing inflammation and helping the body fight off infections. Watermelons are low in calories and a great way to hydrate yourself with all natural sweetness since they are 92% water. Watermelons contain Vitamin A, Vitamin C, Vitamin B6, and Potassium. Remove the seeds and the rind since the rind can cause internal blockage and even choking in some dogs. The seeds may be tolerated by bigger dogs but may also cause intestinal blockage in small dogs so it's best if the are removed. For yummy Dog Treat Recipes using some of the dog friendly fruit mentioned above, check out these: 7 Delicious Dog Treat Recipes!